I looked for answers, but didn't see any solid answers for this particular question. Unlike the other questions my winged humanoids can have their wings disappear so they can pass for human, then have them "grow"out of their body in seconds when they wish to fly. In summer there's not as much problems for these humanoids to extend their wings. Males can wear the right loose tank top with lots of space near the armpits and extend their wings without problems and there's plenty of backless clothing female winged humanoids could carry with the right bra choice. Outside of summer it becomes difficult as I think there's little to no clothing that can pass for normal and still allow the winged humanoid to extend it's wing and fly when in a pinch (or when it assumes it's wings and flight won't be seen by people who would be alarmed). Assuming the humanoids have access to tailors (who know about winged humanoids) that can change regular clothing to fit their needs, how would they change their clothing so as to have the full benefit of the clothing and wings? About the wings: The wingspan is large, let's say a single extended wing has 1,5 times the length of an extended arm (if that's too little surface area make it larger). Growing the wings back happens at a speed the humanoid determines, but at a maximum speed of 3 seconds. It'll simply grow from a tiny thing attached to the shoulderblades and eventually be attached to the shoulderblades (ignoring the massive extended chestbone you would need to flap the wings) and the spine. The humanoid has full control of the wings during growth and can try to push them through something if possible. My only idea so far was to have 2 seams run along the back around the shoulderblades. These seams cover up a zipper opening with flaps around both sides (inside and out) of the zipper to keep the wings out and make it comfortable to wear. If they want to extend their wings, they reach around their back into the seam, open the zipper and then take off. Zippers would probably not be a great idea since they would probably chafe and damage the wings no end when growing and flying, but using buttons or similar would likely not close off the back enough to keep out rain or cold wind. Depending on your setting, capes or ponchos could work quite well as warm, potentially water-resistant, items of clothing that would allow freedom of movement for wings. However, to stay nice and warm, I’d recommend a decent thermal vest to be worn underneath clothing at all times (something with enough open space around the shoulderblades not to hamper movement), and then some form of tailored jacket, coat, or sweater as you mentioned in your question. Buttons can work very well as a fastening option, even in colder climes - simply line the seam with some thick, furry fabric. When the jacket is closed, the fur meshes comfortably over the gap and keeps the wearer warm; when the buttons are unfastened, the fur still keeps the wearer’s shoulder blades warm, while also providing a comfortable surface for the wings to move against. Other fastening options could include poppers (again, you’d want a fluffy lining to offset any friction from uncomfortable metal edges), Velcro (you’d want to double the Velcro on one side at least, so you could fold back the scratchy side and have it adhere to another strip out of the way, so your wings wouldn’t get friction burns), or even laces (which would obviate issues of friction - you’d simply remove them and use them to tie your lovely flowing hair out of the way, and they’d lace tight enough to keep the wearer nice and warm). Laces might also have an added fashion benefit, if your characters are interested in such things, potentially looking corset-like if laced loosely. Equally, you could lace it up tightly enough that the lacing would be all but invisible. Another option would be to have your characters wear thick, long scarves. These scarves could drape down low enough at the back to keep shoulderblades warm and covered, and any open fabric wouldn’t be a problem when cold. As per clothing advice for normal humans: layers are good! These are work coats popular in the American west and especially Australia. They have a capelike piece on the back. Google them up - you can find heavier wool versions for colder weather. An exaggerated cape attachment could cover folded wings on the back and it would look cool. Or you could just go ahead and give them capes - probably more properly "serapes" since these are substantial and practical garments, not superhero regalia. I see people in cape looking wearable blanket things all the time, including across from me at breakfast this morning. 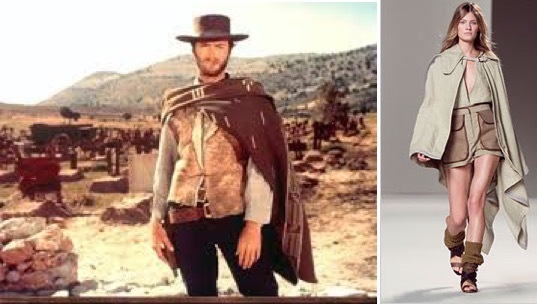 Clint is looking pretty good in his serape from The Good the Bad and the Ugly. The runway model looks even better although not that warm. The simplest would be to wear the usual backless/tank top and then put a loose coat, hoody or cardigan over it. When they need to fly they can very quickly pull off the outer layer and extend the wings. The problem with this is that they may get cold while flying, in order to avoid that they can wear a warm layer with the space cut out for the wings then wear a thin item over it to conceal the holes. Something that won't be seen as too strange when worn indoors would be good, to avoid needing to explain the holes when removing it! All of the tankiness of a tank top, but with sleeves. At the very least, this can form a basis for your layering. After that, for the top layer, a poncho-like structure might be best, if it's designed simply. The serape that WillK recommends would be good to pair with a detached sleeve base. With this combo, you would not be able to tell the shoulders were bare. Scarves draped lower as K. Price suggests would also go well with this base. They have feathers and disguise themselves by covering them up with clothing. I suspect that they would have to have feathers. If they fly to any appreciable altitude it's going to be cold up there. Surely they won't have evolved to have bare skin. ... the temperature decreases by about 5.4°F for every 1,000 feet up you go in elevation. The above is true in clear air even in Summer. It's much worse in bad conditions. I suggest they simply disguise their feathers as fashionable clothing. Maybe they pretend to belong to a particular arty movement. 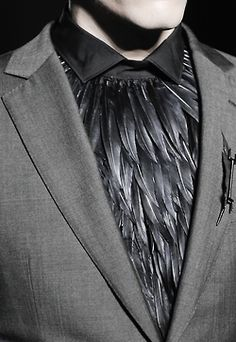 Or they could cover their feathers with light opaque clothes. In an emergency they simply disrobe and take off. The clothing would have to be designed like that used by male-strippers for quick removal. Not the answer you're looking for? 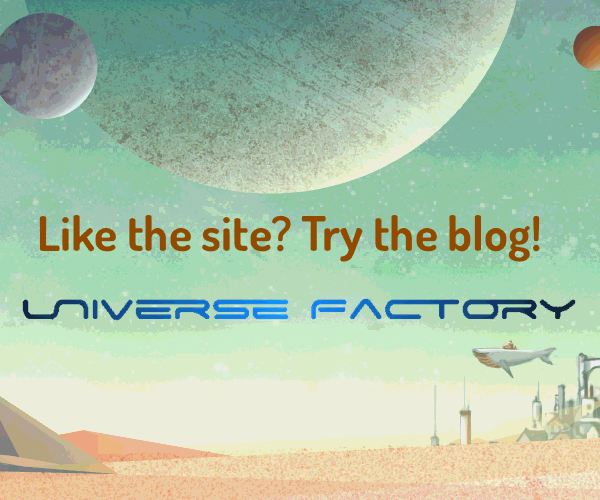 Browse other questions tagged clothing winged-humans or ask your own question. What might an angel's knapsack look like? Would human-avian hybrids be able to preen themselves with just their hands?